#1 Meredith C Bullock - Meredith's blog is full of personal projects, creative inspiration, and beautiful artwork. #2 Scraps of Us - Caroline's blog is a scrapbook of personal memories featuring flat-lays of collected treasures. #3 Brown Paper Bag - Sara shares the everything nice from design to illustration to ceramics to embroidery and more. #4 Peas & Needles - Lucy creates a lot of DIY projects and shares her own awesome design work. #5 Lisa Congdon - Lisa's blog is all about her beautiful handlettering and illustration. #6 Pony Gold - Rachel shares her wonderful and "colourfully dark" illustrations. caroline and saras blogs are two of my favourites, super nice to see them here! Thanks for sharing these creatives with us! Thanks for sharing these really really creative blogs and humans with us. I just can't stop reading and looking at their lovely posts. Thanks for sharing these blogs, I always love discovering new blogs! Beautiful blogs! I love reading all about creative people and seeing their work - art and design blogs are some favourites as they're sponges for inspiration. 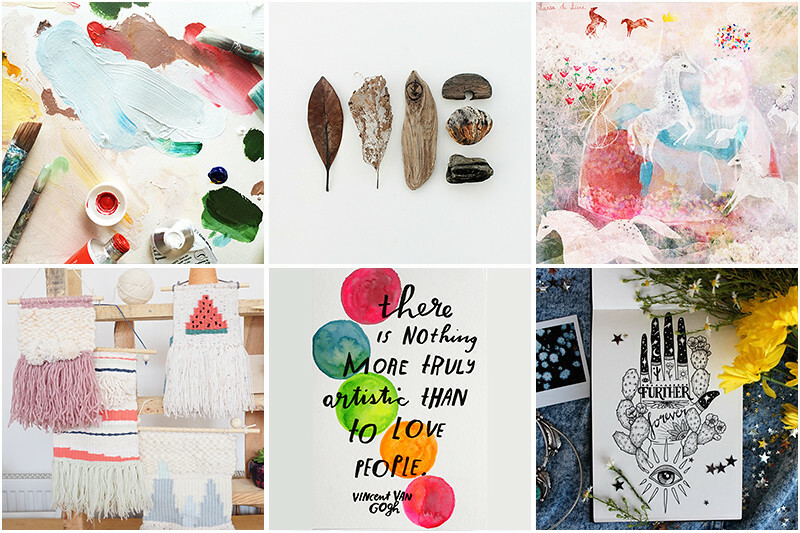 I hope my blog can become as wonderfully colourful as some of the prettiest ones out there! Amazing blog options to get some inspiration from to create. This is just what I needed, a dose of inspiration in swathes of colour. Thanks for sharing! Me too - especially creative ones. I feel the same way. I absolutely love reading blogs by fellow creatives. They're amongst some of my absolute favourites. I love blogs by creatives and I hope to find many more! I'm pretty new to blogging so I need all the inspiration I can get! Thanks for sharing! your mojo, revisit some of these.